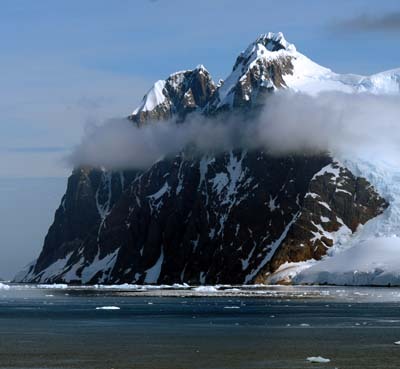 Paradise Bay is positioned along the northwestern edge of the Antarctic Peninsula. 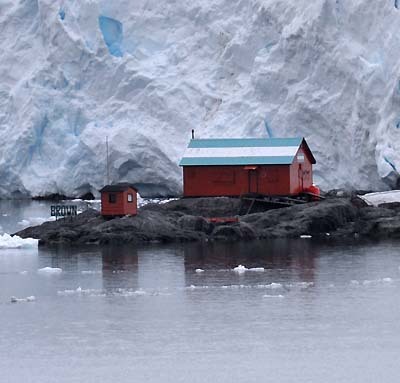 Sheltered from the continent's heavy winds by Anvers Island to its immediate west, the overall area presents sensational views of topography, wildlife, and of course, icebergs. 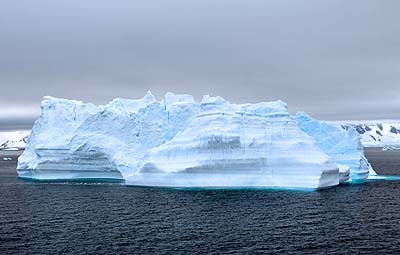 According to on-board experts, cruise ship access to Paradise Bay is frequently blocked by icebergs and bad weather, so we were fortunate to see it. 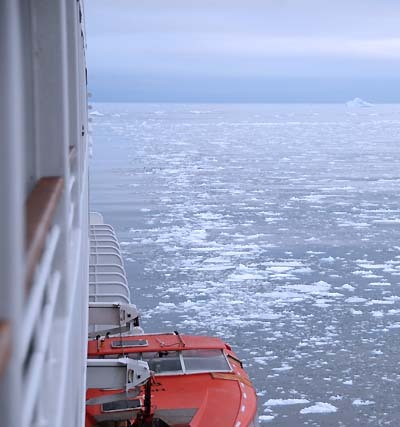 This is a very early morning shot from my cabin's balcony as the MS Prinsendam was making its way into Paradise Bay through a layer of sea ice. It was very crunchy and rather noisy. 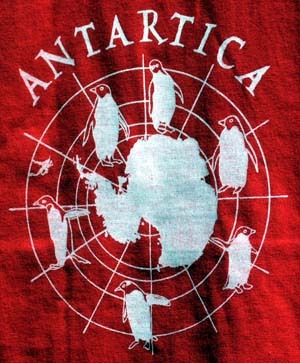 We were certainly not alone in this part of Antarctica. Four other ships were in the Paradise Bay area with us. 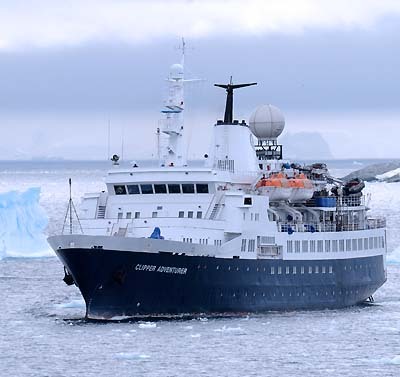 This one was a former research vessel now used by a tour operator out of Ushuaia, Argentina that offers two week-long cruises to Antarctica. This military-type ship actually belongs to Argentina. We found it sitting in a sheltered cove near one of that country's research stations. 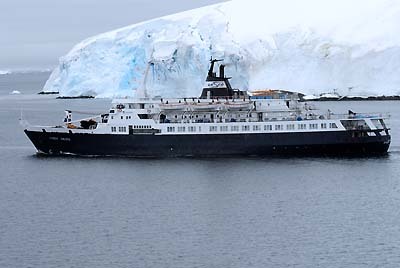 It's used for the lucrative tourist business, and as a supply ship. 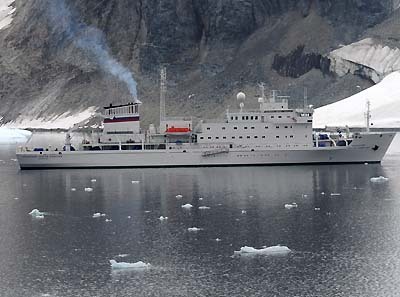 This is a refurbished Russian supply ship, now used as a tourist cruise ship. 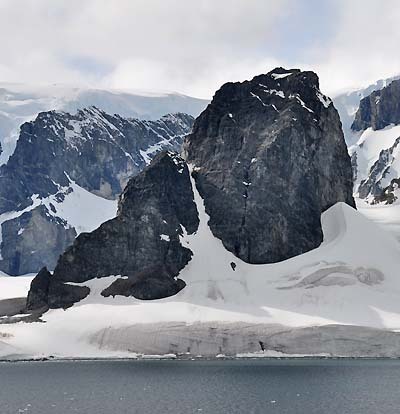 This rugged topography is typical of Antarctica. 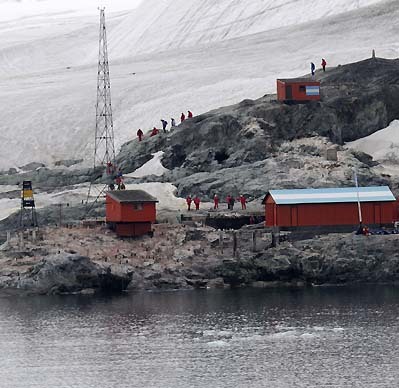 And the real beauty of this pristine place is that there's no land based hotel offering waterfront views and no penguin 'Happy Meals' for sale. Well, at least not yet. 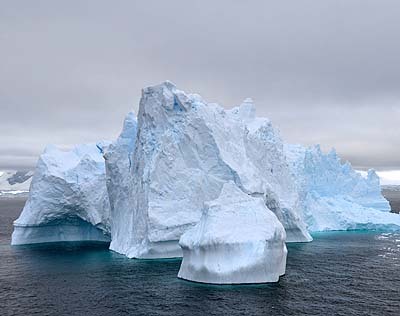 This iceberg was a big as a battleship, and it looked like one too. 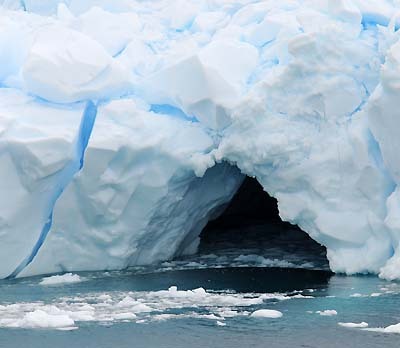 Many large icebergs have water-carved caves indented deep into their hulk. 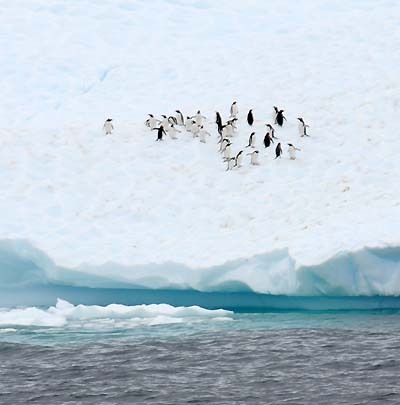 Non-breeding penguins sometimes make a temporary home on icebergs while searching for food in the open sea, and these Gentoo Penguins did just that. And speaking of penguins, they're faster than a speeding bullet when traveling through the water. We literally saw thousands of them but taking their photo is difficult as they're above water for only a split second. 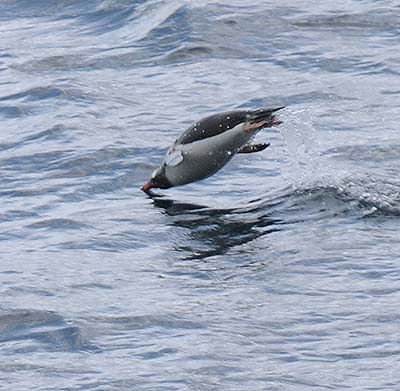 This (I guess) was a lucky shot of a Gentoo Penguin, and like all of the others, he (or she) was as fat as a bowling ball. There was so much to photograph that I had trouble making a decision. 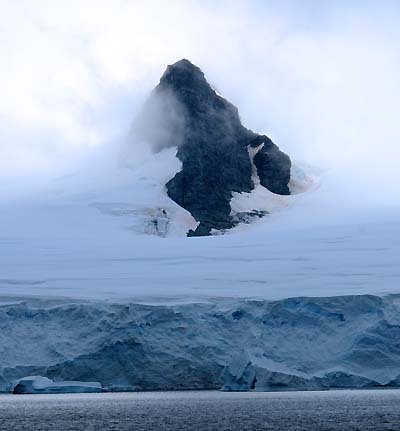 This peak projected though a massive layer of ice, ice that had to be hundreds of feet thick. Late morning the sun broke through Antarctica's constant clouds and mist, and these twin peaks came into view.